Here is a list of the translations of over 300 Tibetan Buddhist texts by Erick Tsiknopoulos published on Tibetan-Translations.com, in chronological order, from newest to oldest. 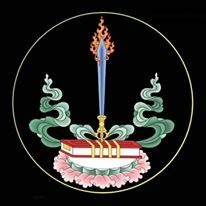 Here is a list of the translations of over 300 Tibetan Buddhist texts by Erick Tsiknopoulos published on Tibetan-Translations.com, in alphabetical order, from A to Z. Here is a list of the translations of over 300 Tibetan Buddhist texts by Erick Tsiknopoulos published on Tibetan-Translations.com, by category. The translations here on Tibetan-Translations.com constitute most of the work done by Erick Tsiknopoulos since 2007, with the exceptions of the Sūtra of Golden Light translations available at SutraOfGoldenLight.net, the Tibetan Lotus Sūtra & Commentary translations available at TibetanLotusSutra.net, and commissioned works which we are not permitted to share online, such as the translations of the The Heart Sphere of Yuthok (g.yu-thog snying-thig).